But now, our family has come up with the absolute best solution... one that will change your mind about the entire day with kiddos! Seriously, Valentine's Day is now right up there with Christmas for our girls. What makes it so special, you ask? We have dessert for dinner! 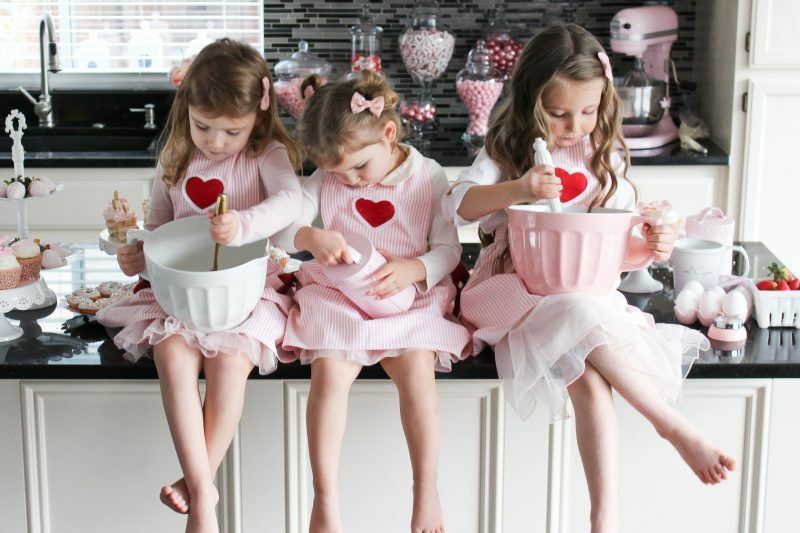 What began as just a fun idea for a Valentine’s Saturday night has become a much-loved tradition in our family! We were out grocery shopping and trying to decide what we were going to do for Valentine’s Day dinner. We knew that all of the restaurants were going to busy, and my husband and I had already decided that we actually preferred celebrating love with our girls vs. a romantic night out. We decided that each person could pick out a favorite store-bought dessert and we would go home, dress up and have dinner by candlelight. We had the most fun and our daughters thought it was the coolest thing! Each year, we have added and changed a few things! Now, Reese and Evie like to find things that look like real food -- candy "sushi", "pizza", "burgers"... you get the idea. To be fair, we always serve fruit... with chocolate for dipping. We look forward to our time together and we love picking out our favorite things. Our kids think it is the biggest treat and always tell everyone about it. It seems to shift the focus to pure joy and love in that moment, with the ones you love. I mean, what is better than that?! Try it! You won't be sorry. It's a dream come true for a child. And once a year... everyone deserves a treat! If dinner is too late for your little one, try breakfast or lunch!